There are many recent surprises in the region of Campania, which is perhaps the most improved winemaking area in Italy, but one thing has not changed: the wine made from the Aglianico grape grown around the village of Taurasi is still one of the glories of Italian viticulture. 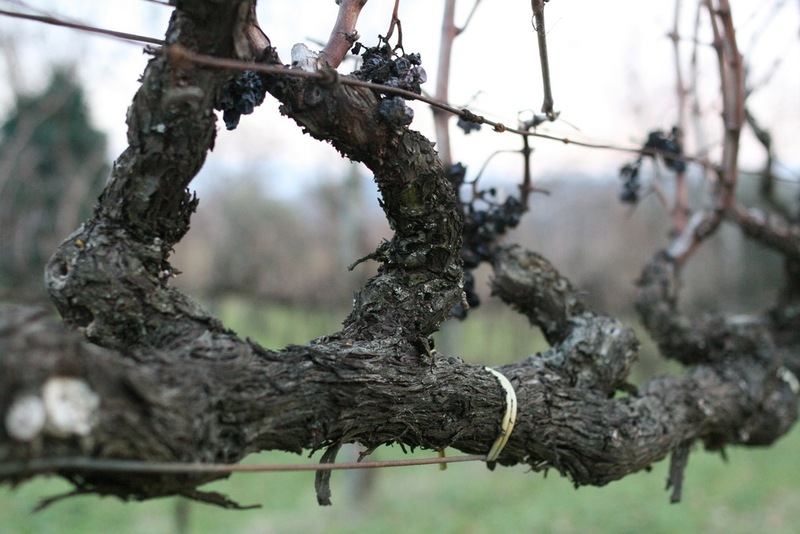 Contrade di Taurasi is owned by Sandro Lonardo, a schoolteacher, and his wife Enza. They make Aglianico IGT, Taurasi, and small amounts of a white wine made from Greco Musc’, an indigenous white variety (grown ungrafted, interestingly). Their vineyards are all exposed directly south, which is ideal, and are at about 1300 feet above sea level, which may explain how a wine picked in the beginning of November in a warm climate can come in at relatively modest alcohol (between 13 and 13.5% in most vintages). All the vineyards are in the official Taurasi zone, but more than half of the fruit is declassified to IGT Aglianico, which improves the Taurasi and gives us an excellent, more forward example of Aglianico to drink while we're waiting for the Taurasi. Click here for a link to the Contrade di Taurasi website. As has happened with Nebbiolo, some producers are finding that traditional but clean winemaking (warm fermentations, long aging in large barrels) can work wonders with tannic varieties. These two single vineyard Taurasis are certainly big wines, but the tannins remind one of very good dark chocolate, which is to say savory and not at all bitter. Sandro Lonardo makes a tiny amount of a white wine called Grecomusc', which is made from a variety called Roviello Bianco, or Grecomusc' by the locals. The variety is indigenous to the town of Taurasi and the villages around Taurasi; as far as we know, Lonardo is the only producer actually marketing the wine. He buys the fruit from various small farmers who have a few rows each, the vines ranging from 70 to over 100 years old, all ungrafted. Total production of wine made from this variety in reaches perhaps 250 cases a year, Lonardo being responsible for almost 200 cases a year. Rarity does not necessarily confer quality, but in this case they do go together. Lonardo's Grecomusc' is distinctive, excellent white wine, showing striking complexity in aroma and flavor, great length, and excellent fresh acidity; notes include almond, citrus skin and apple, as Sandro says, but also a beeswax note reminiscent of fine Chenin Blanc. This is one of the most interesting white wines we import. Winemaking details: made from purchased fruit (some has also been planted at Lonardo's estate in Taurasi) from very old own-rooted vineyards in volcanic soils in and around Taurasi; the wine is fermented with the skins for a day or so (if the quality of the fruit permits) to extract flavor, then fermented in stainless steel using indigenous yeasts. The wine is aged in used puncheons for four months, then in stainless steel, and bottled unfined and with only a coarse filtration. Less than 200 cases produced.